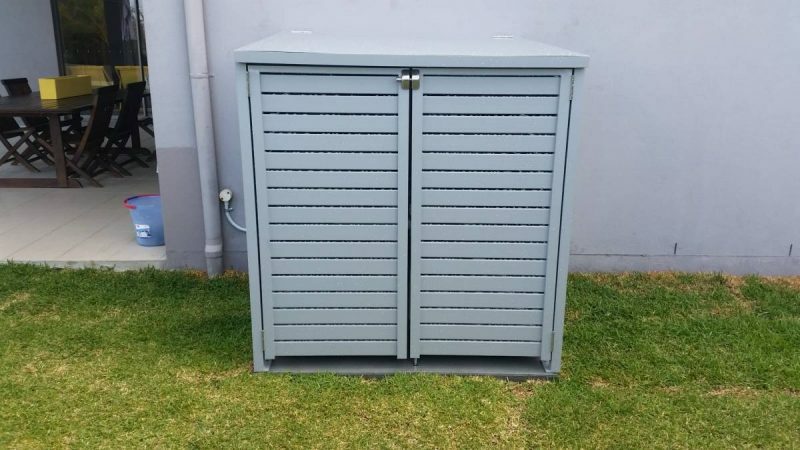 Insular designed and constructed powder coated aluminium pool equipment cover. 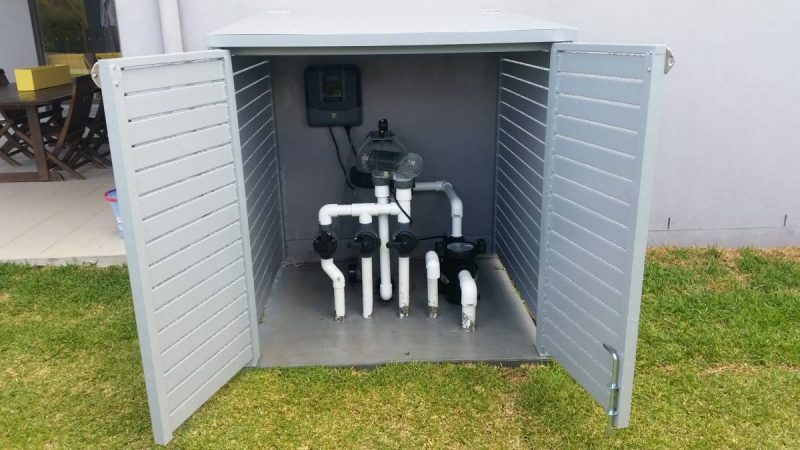 This hides away those unsightly pipes, pumps and equipment, reduces noise, prolongs the life of the equipment and looks fantastic. 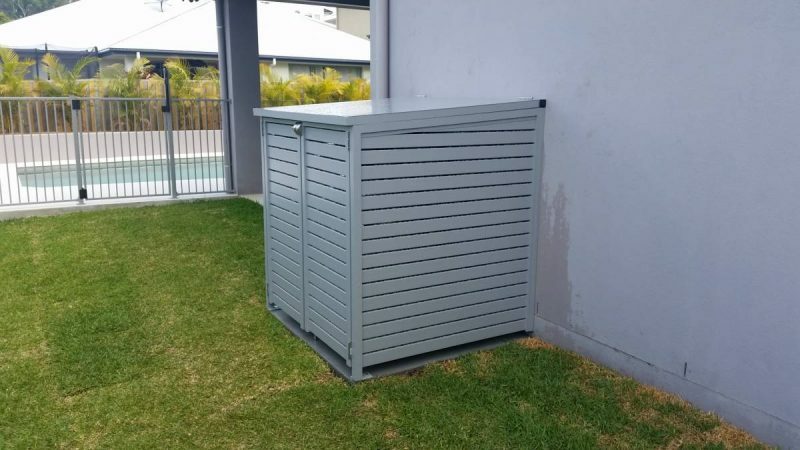 We can custom design a cover to suit your needs anywhere on the Gold Coast. 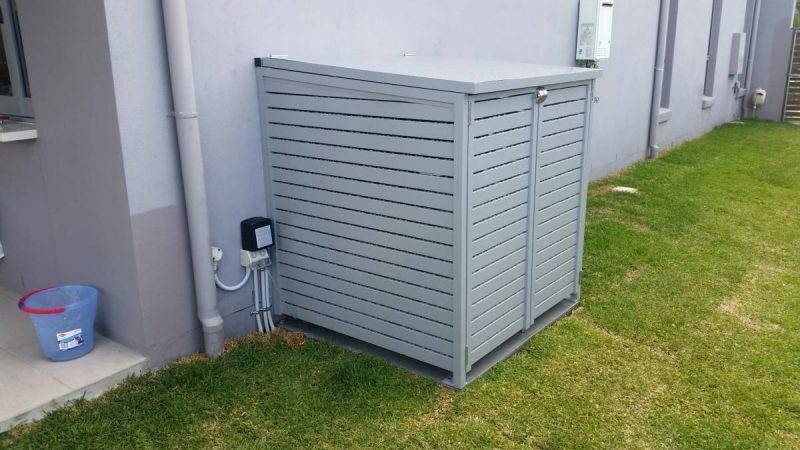 Our covers can also be made to suit the compliance for your new pool area if your cover is within 900 mm of the pool fence. Contact our office for your obligation free pool pump cover quote.